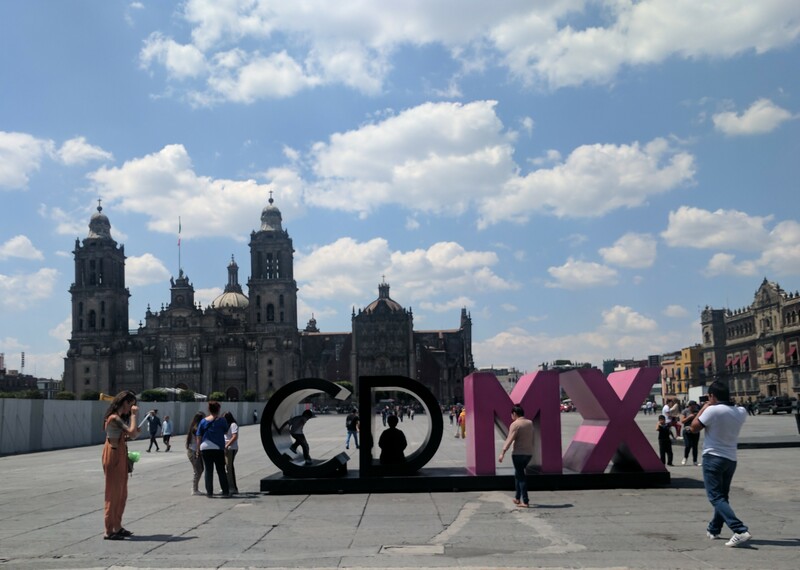 The Hydrosystems Research Group sent members of its Freshwater Resilience team to Mexico City (Ciudad de Mexico – CDMX) for meetings with partners to advance it’s work on ongoing efforts in the Valley of Mexico. This entry was posted in News and tagged Mexico City, workshops, World Bank on July 17, 2017 by hydrosystems. 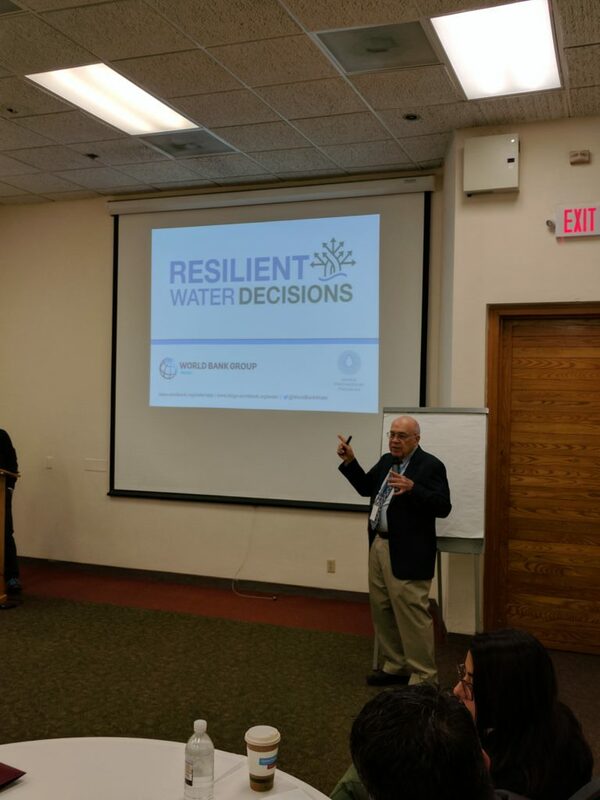 The UMass Hydrosystems Group completed a week long World Bank Decision Tree Training on April 24th-28th for water managers and decision makers from around the globe. The workshop featured participants from Kenya, Nepal, South Korea, Mexico, Ethiopia, as well as World Bank staff. The Decision Tree Framework is a four-phase assessment methodology developed to understand risk associated with climate change and their potential impacts on water infrastructure. Luis Garcia of the World Bank introducing the training during the opening day. It is common for major hydroelectric facilities, irrigation schemes, dams, and water supply systems to have 50 to 100 year lifespans. 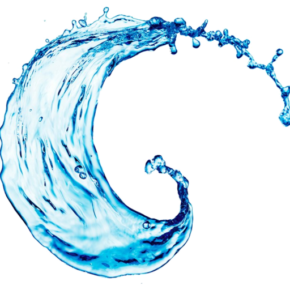 This, coupled with emerging knowledge about long term behavior of the global climate system and changes in other non-climate factors, may affect water system performance in the future. 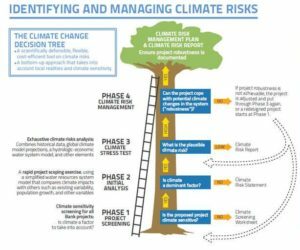 The goal of the workshop was to provide hands on practice utilizing the Decision Tree Framework for evaluating risks associated with climate change. Participants were led through the steps of the Decision Tree Framework and spent many sessions throughout the week working collaboratively with other participants and trainers. 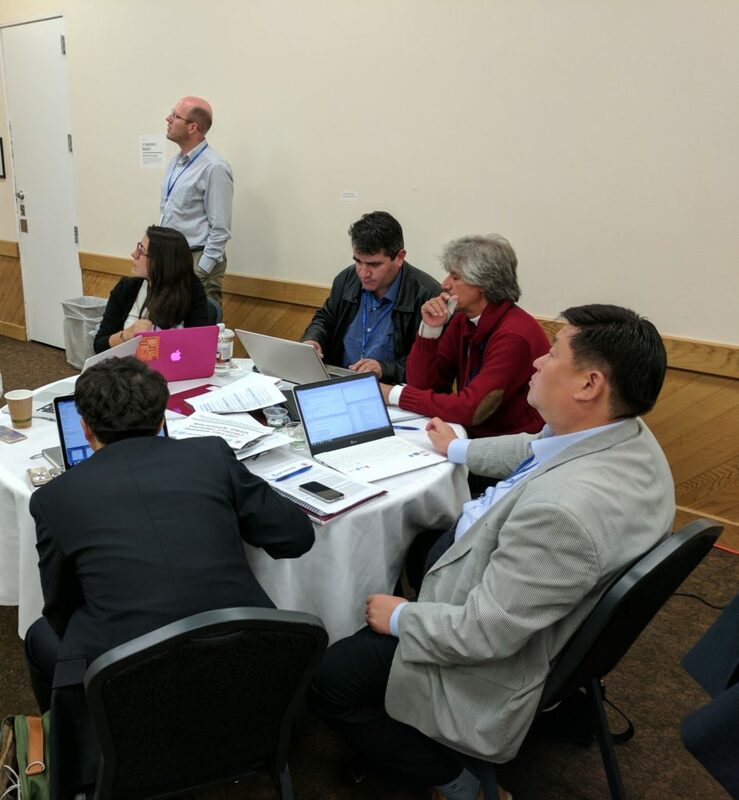 Using Microsoft Excel, R, OpenAgua, and other modeling tools, the workshop trainers led exercises in generating modeling tools for weather generation, hydrologic processes, systems analysis, and stress testing a system for an uncertain future. Participants were eager to learn about the methods used for these different modeling tools, and many are bringing this new knowlege with th to assess climate risk in their home countries. Participants working collaboratively during a training session on weather generation. Earlier this week, the group took a field trip to the U.S. Geological Survey’s S. O. Conte Anadromous Fish Research Center in Turners Falls and the Cabot Station hydroelectric facility and fishway. Fish passage over hydraulic structures is a critical component in the design to ensure species connectivity along a river above and below a facility. This experience allowed the training participants to see a working full-scale fish passage research facility. The Hydrosystems Group members who were trainers during the week: Casey Brown, Patrick Ray, Katherine Schlef, David Rheinheimer, and Alec Bernstein. This entry was posted in News and tagged Decision Tree, Training, workshops, World Bank on May 2, 2017 by hydrosystems. The Hydrosystems Research Group is leading a World Bank training session for international water managers this week. 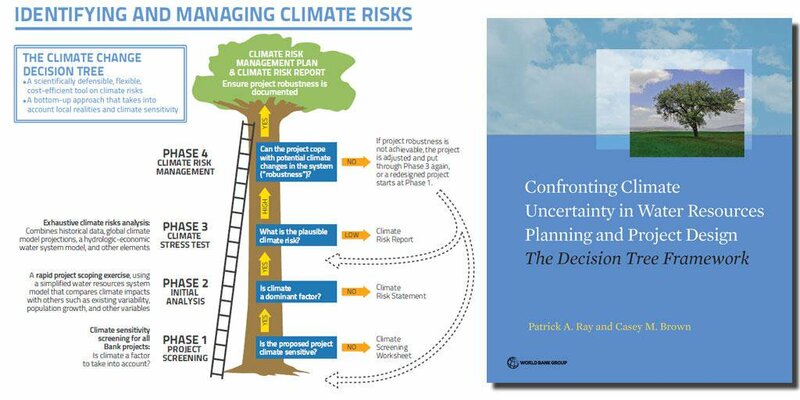 There is a group of 13 engineers and managers from around the world completing a training on the decision tree framework for climate risk assessment. The training session was recently highlighted in a UMass Amherst news release, shown below. 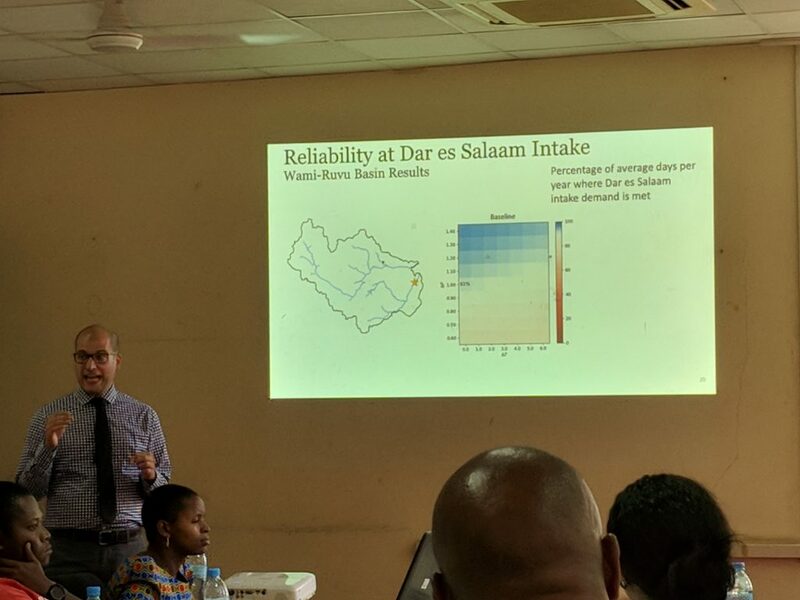 The participants have been very enthusiastic to learn these innovative methods for assessing climate risk in water infrastructure projects and will have a set of tools they can bring back and utilize in their home countries. Water managers and trainers visit the U.S. Geological Survey’s S. O. Conte Anadromous Fish Research Center in Turners Falls, MA. AMHERST, Mass. 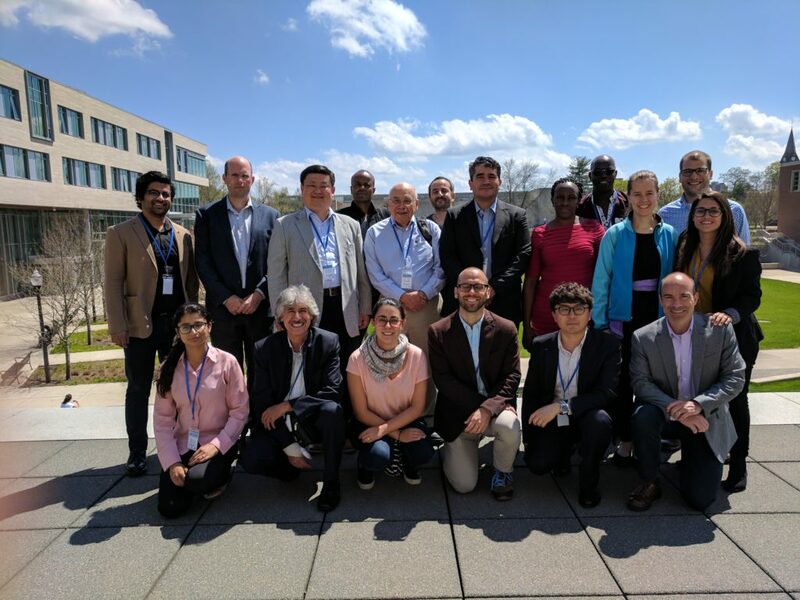 – The University of Massachusetts Amherst is hosting a World Bank training workshop for water managers from developing countries April 24-28 where participants from six countries will learn about risks associated with climate change and their potential the long-term impacts on water infrastructure. The training is being conducted by the the Hydrosystems Research Group of the department of civil and environmental engineering at UMass Amherst. There are 13 water managers attending the training along with four World Bank staff members. Participants from Kenya, Nepal, South Korea, Mexico, Ethiopia and the U.S. will learn how climate change can affect hydropower facilities, dams and water supply systems. It is common for major infrastructure projects to be designed with an expected operating life of 50 or even 100 years. Emerging knowledge about the long-term behavior of the global climate system and changes in other non-climate factors that may affect water system performance means that water systems infrastructure planning is a process of decision making under uncertainty. The training workshop will provide background on the Decision Tree Framework, developed by Brown and Patrick Ray, former research professor at UMass Amherst and currently an assistant professor at the University of Cincinnati. The Decision Tree Framework is a four-phase assessment methodology developed to understand risk associated with climate change and their potential impacts on water infrastructure. 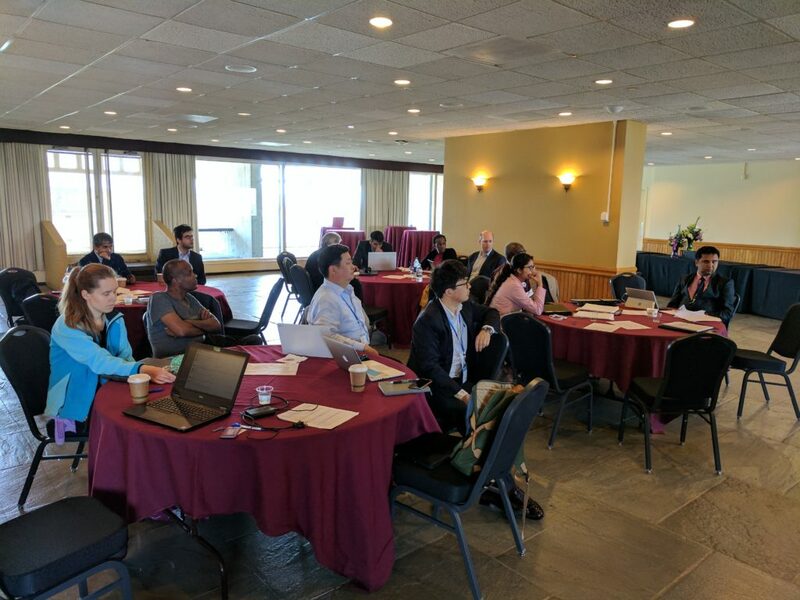 Training sessions take place at the UMass Amherst Campus Center and will include sessions for participants to learn climate change science as well as hands-on sessions to develop modeling tools for evaluating water infrastructure systems. Earlier this week, the group took a field trip to the U.S. Geological Survey’s S. O. Conte Anadromous Fish Research Center in Turners Falls and the Cabot Station hydroelectric facility and fishway. Fish passage over hydraulic structures is a critical component in the design to ensure species connectivity along a river above and below a facility. This experience allowed the training participants to see a working full-scale fish passage research facility. This entry was posted in News and tagged Decision Tree, Training, World Bank on April 26, 2017 by hydrosystems. The Hydrosystems Research Group will be hosting a week long Decision Tree Framework training on April 25th through 28th on the University of Massachusetts campus in Amherst, Massachusetts. The sessions will be focused on applying the Decision Tree Framework to address uncertainty in water resources planning and project design. Participants will bring their own system information and data and will be guided through the decision tree process during the course of the week. Training sessions will be conducted by Hydrosystems Group members Dr. Casey Brown, Dr. Patrick Ray, and Ms. Katherine Schelf. Anyone interested in attending should contact alec.bernstein@umass.edu for information and the application for the event as soon as possible. This entry was posted in News and tagged Decision Tree, Training, workshops, World Bank on March 21, 2017 by hydrosystems. 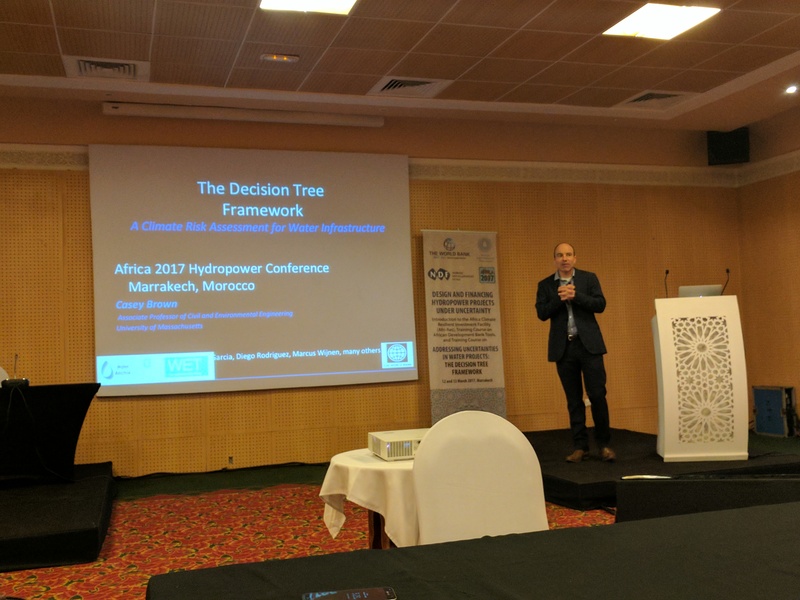 Dr. Casey Brown and Dr. Patrick Ray conducted a World Bank training workshop on the Decision Tree Framework: A Climate Risk Assessment for Water Infrastructure at the Hydropower and Dams 2017: Africa conference in Marrakech, Morocco. 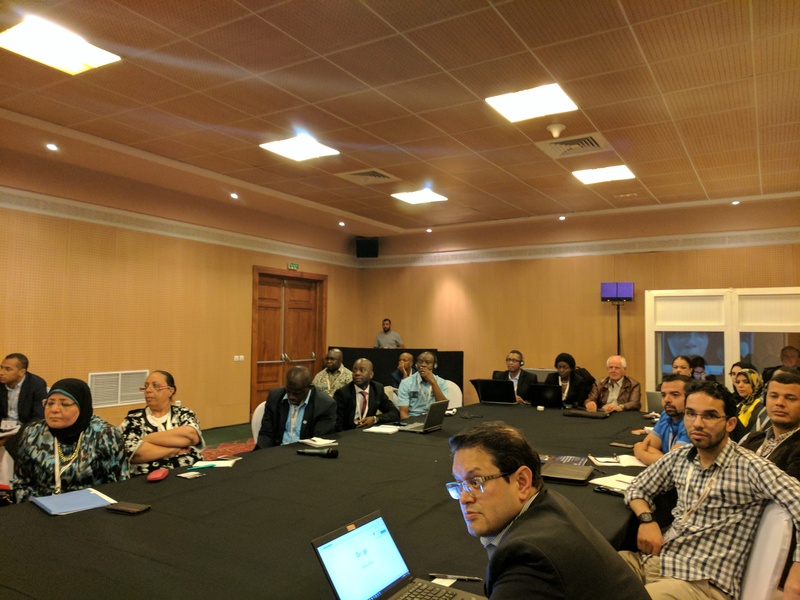 The training took place on March 12th and 13th, 2017 at the La Palmeraie Conference Centre in Marrakech, and the conference was March 14th-16th. 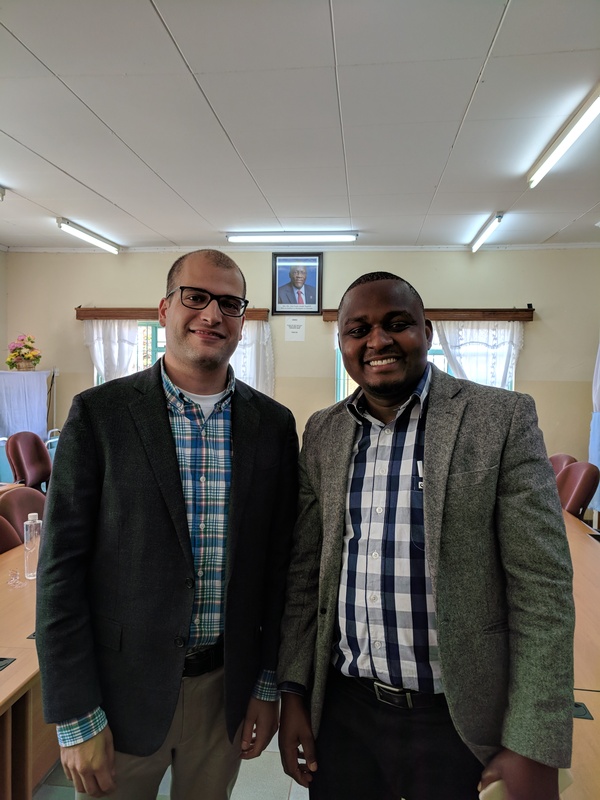 The training was well attended by approximately 30 participants from universities, government agencies, consulting firms, and water & energy ministries from all across Africa. This training was meant to be an introduction to the Decision Tree Framework, and many participants were enthusiastic to learn more about the framework and apply it on their own systems. 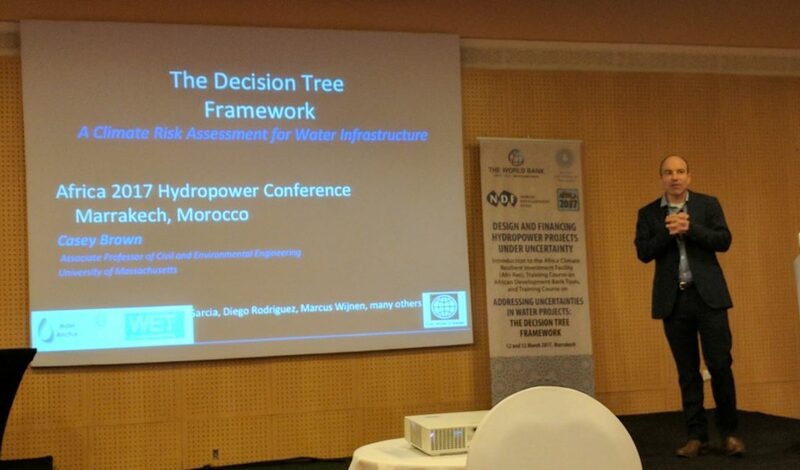 A young engineer from the water ministry in Morocco responded that if the training had not been provided, his ministry would never have thought about screening projects for climate risk. 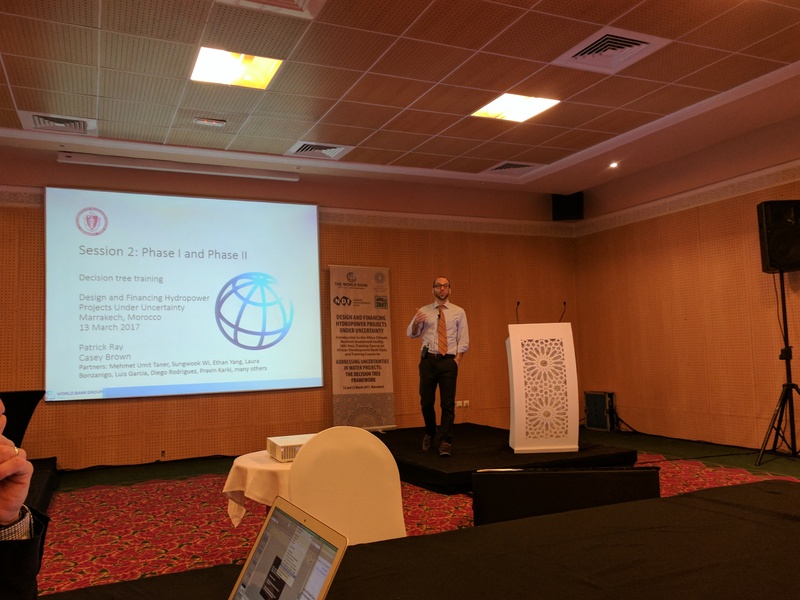 Hydrosystems group member Alec Bernstein attended the workshop and conference as a participant and engaged with many of the attendees of the training session; the young engineer’s response was typical for many participants of the sessions. The crowd of enthusiastic participants during the Decision Tree Training workshop. The Hydrosystems Research Group will be hosting a week long World Bank Decision Tree Training April 25th through 28th in Amherst, Massachusetts. Anyone interested in attending should contact alec.bernstein@umass.edu for information and the application for the event. 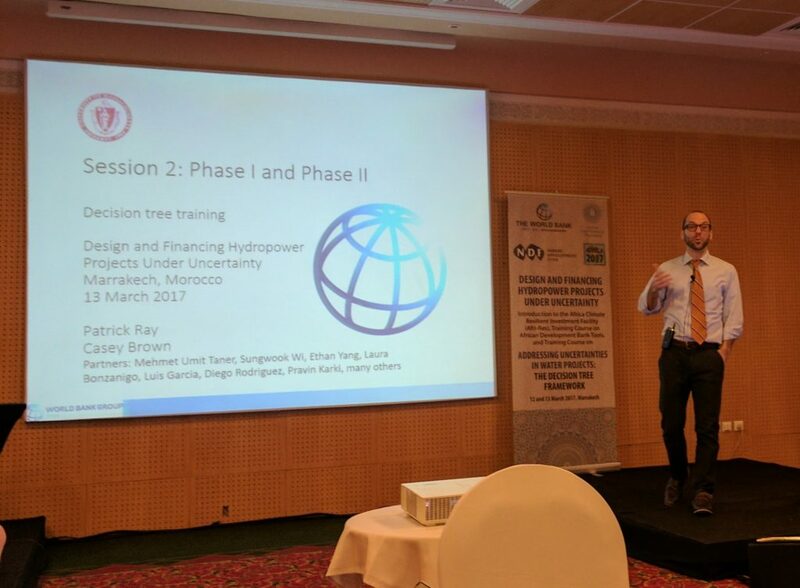 This entry was posted in News and tagged Conference, Decision Tree, presentations, Training, World Bank on March 21, 2017 by hydrosystems.